I have totally been forgetting about one thing that used to be one of my best habits. Which is drinking apple cider vinegar 1-3 times every day before eating. It has a lot of good benefits and I actually think it tastes quite nice now, but I drink it mixed with water because it’s. It that good for your tummy to drink it on its own since it’s so sour. But today I started drinking it again after having a massive allergic reaction to something and also put it next to my bed so I will remember having it to every day. For best effect you’re apparently meant to have it 10-20min before eating so I usually have it before breakfast and dinner and if I remember to bring it to college also before lunch. 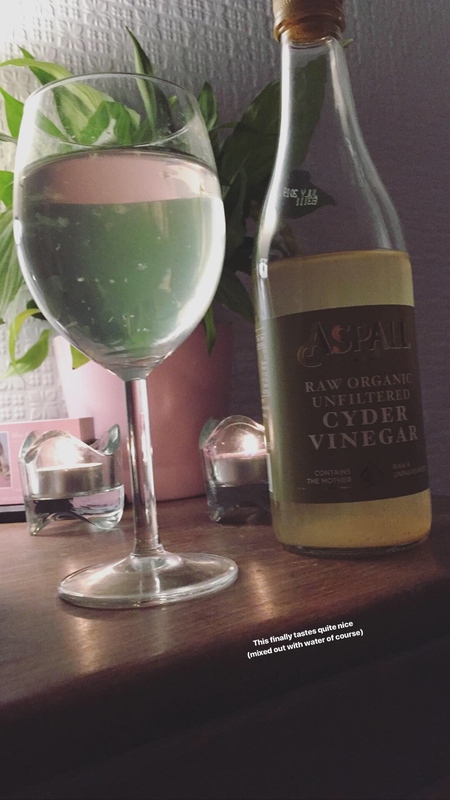 Also such a coincidence that Holland and Barrett posted about the benefits of apple cider vinegar today on their Instagram page!